Dr. Tim Irving grew up in New York, and through his own healing journey found himself drawn to physical medicine and nutrition. In 1998, this journey took him to Boulder, Colorado, where he studied massage therapy, cranio-sacral therapy, structural integration and medical massage. Through his studies and work with an osteopathic doctor in Longmont, Colorado, Dr. Irving found himself on a path that took him to Portland, where he received his Doctorate in Chiropractic Medicine. In addition, knowing that nutrition is an integral part of physical medicine, he completed a Master of Science in Human Nutrition degree through the University of Bridgeport. 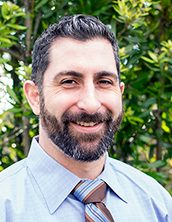 In addition to teaching at NUNM, Dr. Irving has a busy physical medicine and nutrition practice in Southeast Portland, and is involved in expanding the education of healthcare providers through various educational and teaching endeavors.